This "walking" stuff is not all it's cracked up to be! Jack took me on a 1 MILE WALK the other day... the longest I've walked in awhile.. .and ever since then.. my right hip has been screaming at me! Wakes me up in the middle of the night... yes... I've been awake since 1:00 am!! Geese Louise... so I'm going to the massage therapist today... hopefully that will help. Gotta do something...these long nights are killers! Wow did I get alot accomplished yesterday... made my surprise treats for the Saturday Baaaad Girls Club, straightened my sewing room (that in itself was a huge accomplishment), finished some of my "OH MY GOSH" teeny blocks! Then when I went to cut them down to 2" (YES... I DID say ONLY 2") I made a wrong cut! Duh... doesn't that make you so mad? So.. .now I have to make another one of those silly little things so I have enough to finish the project. ggggrrrrr.... I thought I was finished with those bad boys! So.. today... it's more of the same.. ... finish up some things on my TO DO list. Man-oh-man I love crossing things off that list! YIPPEE!!! 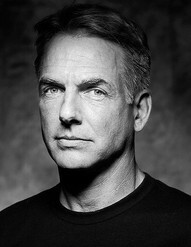 Do any of you watch NCIS? If you don't ... you should... this man is something else!! I love it when he gets that little grin on his face during the show.... WOW!!!! He just gets better and better with age. As my mommy always used to say... "he can put his shoes under my bed anytime"! HA!!! Just kidding... but I sure do LOVE HIM! And Tony on the show too... and even Tim... he's a cutie patootie and looks even better now that he's skinner. Watch the USA channel (Comcast cable) and you'll see what I mean! I've decided... I'm ready for spring! It seems like we had NO WINTER here in Jacksonville... the weather has been simply wonderful! 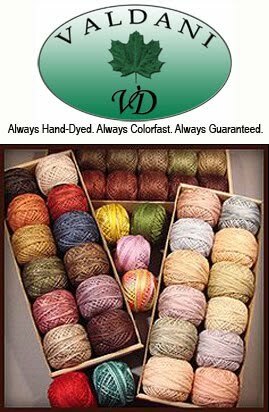 The trees are budding, flowers popping up... people beginning to redo their yards (in my neighborhood) and I'm just over the drab - dead look. So I decided to show you some sweet 'springy' things !! Look at this mohair chick!! Isn't she adorable... 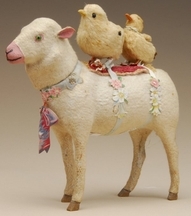 I sent this picture to my daughter (Heather)... she makes mohair critters... and I know she could make this. I just love her!!! Look at that little tail peeking out of her dress! 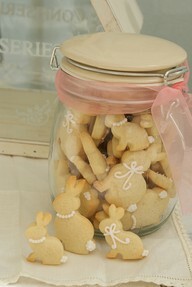 Now...tell me.. is this not the sweetest jar of cookies? What a fun gift to make for someone! I don't know about you... but when people hand make items and give them to me... they mean so much more! Especially being a crafter and knowing how much time some projects take.. it's a true jester of love. I could bite the ears off of everyone of these little gems ...mmmm.... with a nice cup of coffee... the ENTIRE jar would be gone in a heartbeat! I'm telling you... I can put away some sugar cookies! Then.... I saw these cute little nests and the ah-ha moment clicked in my head. This is our next treat for the Baaaad girls club.. I'm going to make these and rest them on top of a carrot cake cupcake with cream cheese icing... sprinkled with a little green coconut (looks like grass). Don't you think they would enjoy them? I sure would... both enjoy making them and eating them!!! Now... this is something I've always wanted to collect... but finding them (really hard) and then having a place to display them is a challenge. This is an antique candy container. Isn't it adorable? I've seen really wonderful Christmas ones... but this is the first for Easter. They sell for A BUNCH OF MONEY too...especially when they are in this condition. 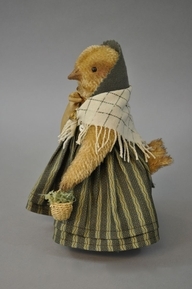 Look on Ebay sometime... search for "candy containers" under antiques and see what you find!!!! 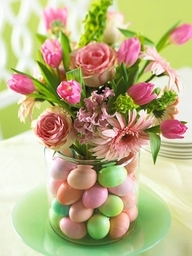 Here is a beautiful centerpiece for your spring table. I would suggest you use plastic eggs in the jar...or after some time your house will NOT smell very good AT ALL!!!! hahahahahah! Isn't this too cute? You can put one of those flower 'frogs' in the bottom to hold the stems up nice and straight. Real.... or beautiful silk flowers ....will work also. I've seen this same type of arrangement during Christmas...they used beautiful ornaments to replace the eggs! Now this was new to me... 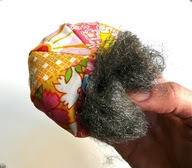 When making your pincushions...stuff them with steel wool. It's supposed to keep your pins sharp! I wonder why I've never seen this done before??? It's a bit prickly... maybe that's why. Heck.. it's worth a try! Ok... I just had a brain explosion.... "emery" that is put in the little strawberry (on the old tomato pin cushions) is used to sharpen pins and needles... DUH... thus we have the same idea with the steel wool! I love it when a good plan comes together! Ok... I'm heading back to bed!!! My peepers are getting heavy and it's time for a little snooze.